Spectacular wedding day jewelry isn’t just for the bride! For a look that’s as fabulous as it is lasting, add some personalized, elegant sparkle to your wedding cake. Handset with Swarovski crystals in the letter combination, font and color of your choice, monogram cake toppers at Bridal Styles Boutique are totally couture! 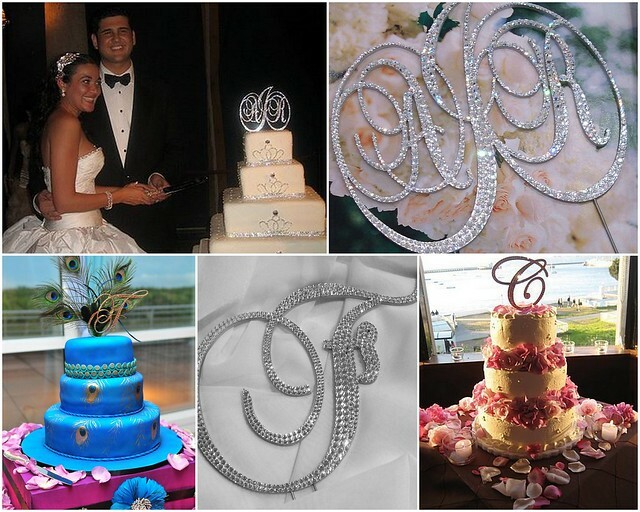 We can even custom-design your cake jewelry to match your existing wedding day monogram. Amazing in all those cake-cutting shots, a cake monogram is also a special (and reusable) keepsake. After the wedding, your custom cake jewelry is a perfect accent to anniversary or birthday cakes and lovely framed in between celebrations! 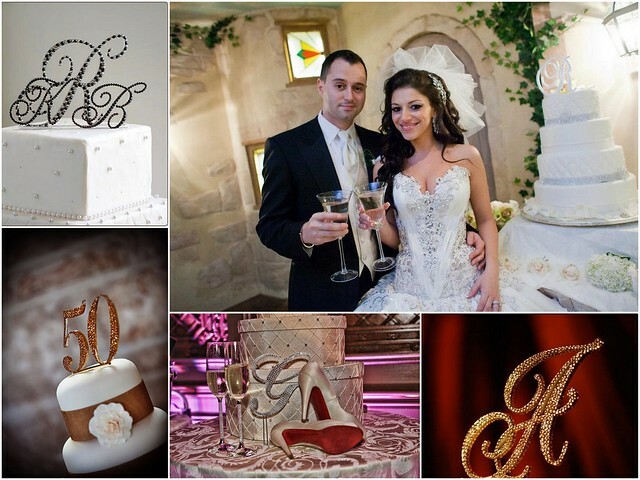 To choose your one-of-a-kind Swarovski crystal cake monogram, visit us in Brooklyn at our bridal accessory boutique. This entry was posted on Tuesday, February 28th, 2012 at 10:25 am	and is filed under Bridal Trends. You can follow any responses to this entry through the RSS 2.0 feed. You can skip to the end and leave a response. Pinging is currently not allowed.